Come kick off the holiday season with “It’s A Wonderful Life: Live From WVL Theatre” presented by Immediate Theatre Project at Wautoma’s McComb/Bruchs Performing Arts Center on Saturday December 1st at 2:00 PM. The performance is sponsored by Waushara Dental Associates. This 1940s “live broadcast” of Frank Capra’s beloved film takes us back to the Golden Age of Radio. This fresh new adaptation of the film is set in the fictional studio of WVL Radio Theatre on a cold, snowy winter night. Due to the blizzard, the professional voice actors are unable to get through, but the show must go on — so a small but intrepid band of employees manage to create the dozens of movie characters and scenes using just their voices and a sound effects table. With surprisingly simple technical requirements and adaptable staging needs, this exquisitely detailed production fits a variety of venue settings, large and small, and is an uplifting story of struggle and triumph, and of the power of a community to weather financial storms. Nominated for five Academy Awards, Frank Capra’s beloved film is an undisputed holiday treasure, ranked #11 in the American Film Institute’s list of the 100 best American films ever made — and also their #1 most inspirational American film of all time. Immediate Theatre Project tells stories that illuminate our experience of living here and now. Through professional productions, public readings and other forms of engagement with our audience, we bring new life to American classics, expose our audiences to the best of contemporary drama, and develop new work with an eye to the future. We are challenged to find the Immediate in every play we produce. How do we do that? Well, it’s always a work in process — a Project. But we do have a few guides: In general, we find that that immediacy is most powerful when the words of the playwright are allowed to carry the story forward, rather than relying on expensive and obtrusive technical elements that threaten to overwhelm the play. We believe that highly dedicated, creative work is encouraged by hiring artists who have a significant breadth of experience and training, and by paying them fairly. We find inspiration from many people, places, and productions, and are eager to collaborate with artists and companies in different fields, cities, and situations to encourage deep creativity and lasting artistic development of theatre artists here in Asheville and beyond. Tickets, $32, to It’s A Wonderful Life are available at the McComb/Bruchs Performing Arts Center located at 514 S. Cambridge St., Wautoma. The box office is staffed two weeks before the performance, 10 a.m. to 2 p.m., beginning Monday, November 19th and four hours before the performance on Saturday December 1st. On top of being open two weeks before a performance, the box office will also be open on Tuesdays, 10 a.m. to 2 p.m., throughout the season. Ask our box office volunteers about adding a dinner ticket to Moose Inn Supper Club or Silvercryst Supper Club to your purchase for an extra $18 charge. 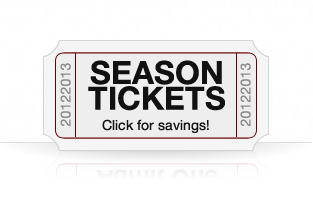 Tickets for any of our performances this season and gift certificates can be ordered anytime by phone at (920) 787-2189 or toll-free at (888) 987-2189 or on our website at www.mccombbruchspac.com. Visa, Discover and MasterCard are accepted. Group and student discounts are available. For more information, follow us on Facebook or Instagram.